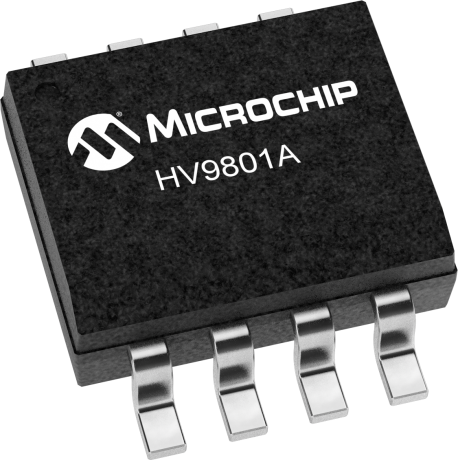 The HV9801A LED driver is ideally suited for switch dimmable applications using LED bulbs and fixtures. Through switch dimming, the lamp can be adjusted to four discrete brightness levels by rapid cycling of the light switch. The brightness levels are traversed in up and down manner. Brightness resumes at the highest level when power is removed for more than a second. The device can be powered directly from rectified AC through an internal VDD regulator rated at 450V.